RAMM Recycling Services, Inc. is a metals and electronics recycling business with locations in Spring Hill, Zephyrhills, and Plant City Florida. In addition to providing services to Pasco, Hillsborough, and Hernando Counties, we service all of West Central Florida and other adjacent areas. 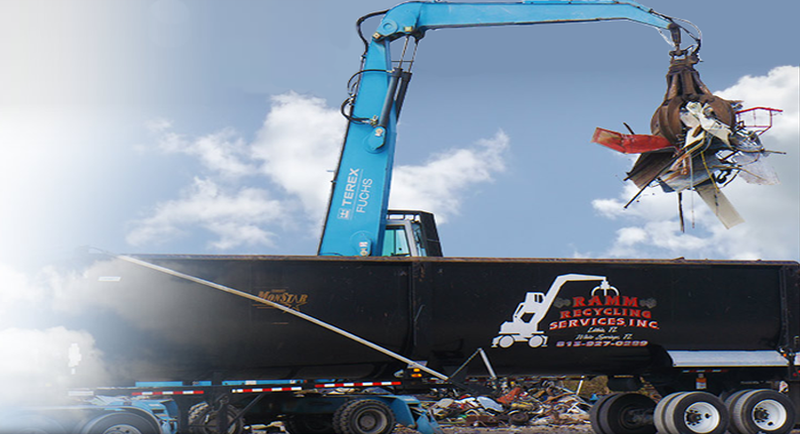 Ramm Recycling Services has provided scrap recycling service, industrial demolition, emergency clean up response, and trucking solutions for 20 years. Ramm Recycling Services is proud to have been nominated by the Pasco Economic Development Council for 2013 business of the year. When you need an honest reliable partner, Ramm Recycling is here to purchase all of your metal and electronic surplus. Please do not hesitate to contact us to discuss options related to your recycling requirements. At Ramm Recycling Services, we go above and beyond to earn and keep your business.